Juno is worked in the round from the bottom up, with a straightforward lace pattern adding detail. 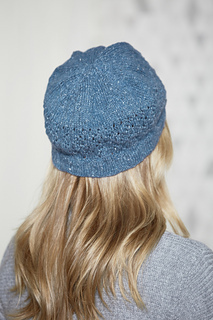 You can work this lace pattern from the chart or written instructions, whichever you prefer. 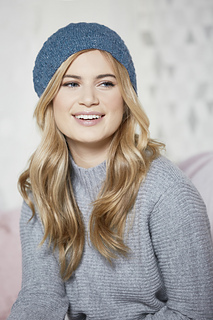 Stocking stitch makes up the majority of the knit and the hat is designed to have a relaxed fit.